I only picked up four issues this week but really enjoyed three of them. My holiday budget is limited with gifts for the kids and what not, but I managed to pick up four books this week that were worth my time. I can't stress how good both Batman and Walking Dead are. Scott Snyder can do no wrong with Batman and somehow Kirkman has managed to keep Walking Dead fresh after all this time. If you haven't already done it, go buy these issues now! 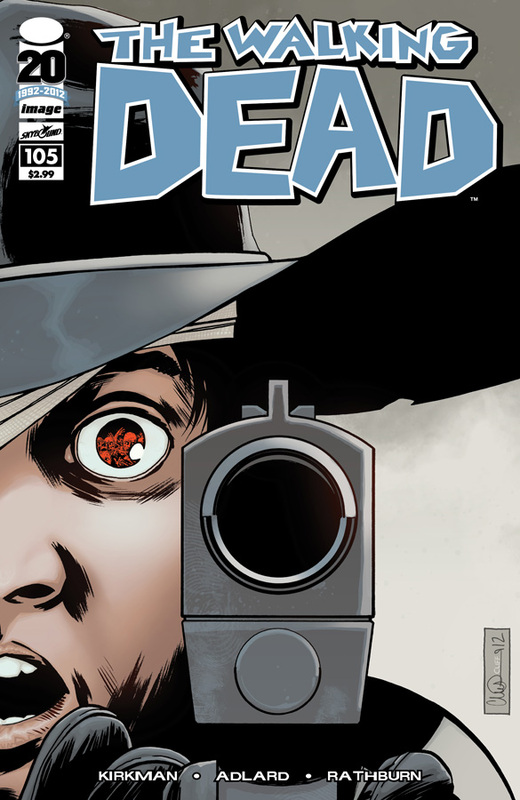 Walking Dead #105 - If you haven't been reading Walking Dead, you have a lot of catching up to do but it is well worth your time. How a comic can remain fresh at issue #105 is astounding, yet Robert Kirman delivers. This issue focuses on Carl's early time in Negan's camp and we are reminded that despite everything Carl has been through and done, he is a child. We are also finally provided with some moments that begin to untangle the distorted mess that Negan is. Clearly a disturbed individual who has his flock well trained. I really hope Carl kills him. 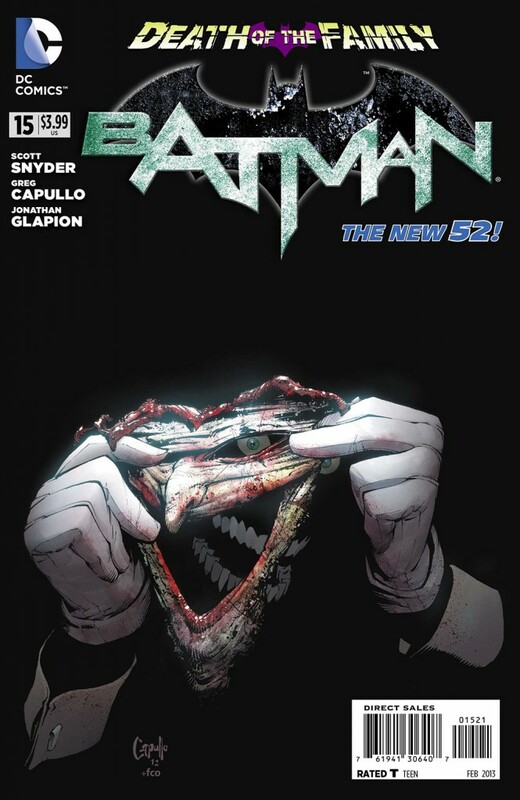 Batman #15 - Oh how I love what Scott Snyder is doing with Batman. The "Death in the Family" event continues with Batman attempting to save Alfred. Does Joker know the secret identity of Batman and more? When did Joker compromise Arkham? It seems that Batman is playing directly into Joker's hand and I can't wait for #16. Greg Capullo's art on the faceless Joker is truly haunting and the reader is left begging for answers. I wasn't sure if Snyder could continue with a book that could measure up to Court of the Owls but he clearly has. Well done. Change #1 - I must say that this book left me confused. You have a screen writer, a rapper, and an astronaut mixed in with some cult happenings and I am not sure where this book is heading. It feels like there could be something there, but after issue #1 I am just confused. There may be potential, but I just don't know. Cable and the X-Force #1 - Cable is back and he isn't letting anyone get in his way. He is suffering from prophetic headaches and is on the run after Captain America and crew caught X-Force in a terrorist act against an anti-mutant corporation. Cable is reunited with his daughter Hope who isn't too pleased that she wasn't informed of his return. Seems like this should be a fun read with the return of Cable. Saucer Country #10 - I have read the first couple of issues, but haven't had the time to catch up with this gem from Vertigo and some secrets are revealed in the second issue of the "The Reticulan Candidate" arc. I really need to catch up on this one. 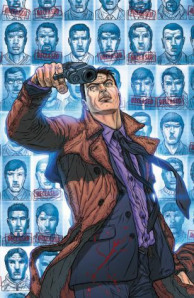 Clone #2 - It seems like this series may be living up to the potential that it had from issue #1. While I wasn't hooked at all on issue #1, I was open to revisiting the series if it picked up. It sounds like some questions were answered in issue #2 and this book may be getting better. I may revisit this title.